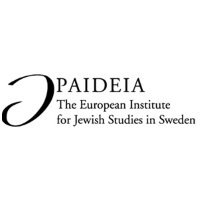 Working to strengthen and enrich Jewish life throughout Europe, Paideia, The European Institute for Jewish Studies in Sweden, has developed the Paradigm Program, a new and innovative program introducing Judaism as a Philosophy of Life as a new approach to understanding Jewish identity. This new model, which asks important questions about identity, philosophy and society, is particularly pertinent in the today’s diverse and multi-cultural world. Paideia seeks to engage a group of some 30 contemporary Jewish educators and leaders – all alumni of the Institute – providing them with knowledge and the tools needed to articulate and convey to the next generation the essentials of this new Jewish world view in a language that is comprehensible and meaningful. Over the course of a 6-day training program in Stockholm, participants will take part in group study on Judaism as a Philosophy of Life, with Israeli, European and North American scholars. Participants will complete the seminar, fully prepared to return to their home communities in Europe and the former Soviet Union to disseminate the new outlook. A handbook outlining the curriculum will be published and will include three Paradigm questions: What core ideas of Judaism attract you most? ; What are the most cogent criticisms of Judaism’s world view? ; What can Judaism contribute to basic human questions and challenges?, with responses from seminar participants and scholars and from historical Jewish thinkers. An enhanced website is being developed to host a forum for program alumni, which will offer short texts, Q & A, videos of the seminar sessions, interviews with Jewish thinkers and instructions on the methodology. Participants of Paradigm are expected to present the approach in their communities in Europe and the FSU, at schools, conferences and in other informal and formal educational settings. The Pincus Fund for Jewish Education has partnered with Paideia on a number of informal and formal Jewish education programs over the years, which have contributed to enriching Jewish education and training Jewish teachers in Europe and Scandinavia. The Fund is proud to be part of developing the new Paradigm initiative and to empower educators to create innovative programs in their own communities using an approach to Judaism as a Philosophy for Life.